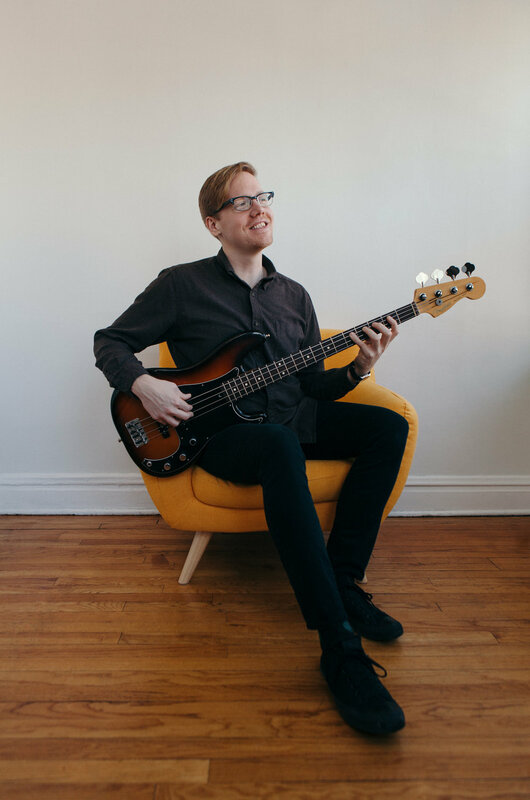 John W Lauler is a bassist living in Chicago, IL. He attended Joliet Junior College from 2008-2010 and in 2012 received his Bachelor of Arts in Jazz Studies from Columbia College Chicago. John's style delivers a refreshing take on classic soul, blues, jazz and rock. He is currently working extensively as the bassist and arranger for Chicago Soul Spectacular; a tribute to the classic soul-era from the late 60’s and early 70’s. In addition to the band’s cover material, Soul Spectacular will be releasing a full-length record of all new original music this summer, featuring collaborations with some of Chicago's finest soul singers. John plays regularly around the midwest, most notably with The Cash Box Kings, The Greg Essig Group and Breezy Rodio. John’s passion for jazz and original music can be heard with The Giving Trio. The trio's first record, "Defuser" (2016), features his original compositions "Old Bull Lee," "She's Skeptic" and "The Believer".